Technicians are polite and very knowledgeable in their vocation. They are willing to help and offer suggestions. So far I am pleased with most of the improvements. Could you please send me a paper bill and where to send it the check. Ron Savino. So far service has been adequate, but the final treatment is the one that will determine the score - Ants are the biggest problem that I have in the Spring/ summer. If I see none after the next treatment, then it will have been successful. I am very pleased with the service. My technician always explains what has been done and does a very thorough job. 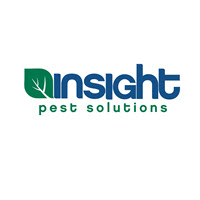 Insight service providers are always prompt, pleasant and efficient. Very happy with our service. Excellent service. Fast, efficient, polite and always on time if not early. Responsive and thorough when the mice come in the home. Great service from Tyler. Would definitely recommend! Great Job By Technician Raul. His attention to detail and service is commendable. Please thank him again for me. Raul is a excellent example for his contemporaries. Amgelo Fusco West Hartford CT.
Edward is the best tech - he is on time , spends a lot of time with my yard and it’s issues . Ed really takes pride in his job and is very educated in his field . Insight is lucky to have him . The phone service didn’t call to confirm the appointment but at least the company follows my request on - only send Ed. The phone service didn’t call to check if the date was ok with us which is unusual . Great service, knowledgeable staff. Still have some pest issues but definitely better. First service that really worked to be rid of insects. Thank you. Your technician Edward Keeley came by a few weeks ago. He was polite, attentive, considerate, and all around awesome! Good service.....Colina (our Insight tech) was professional and helpful and courteous.